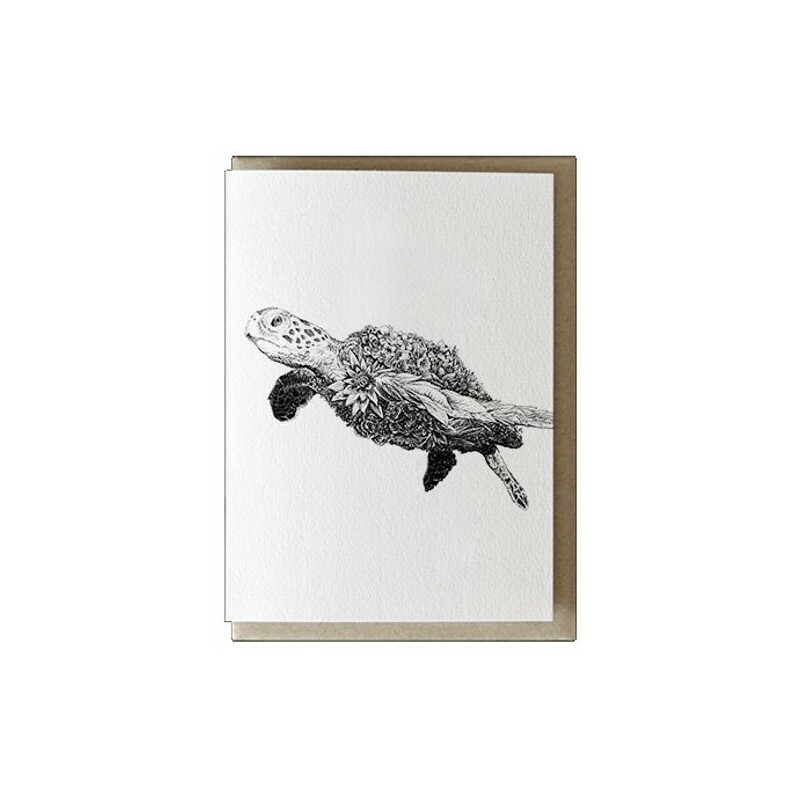 Luxury greeting card with beautiful illustration 'Green Sea Turtle' printed on 100% recycled and acid free paper. Each card comes with a recycled envelope. 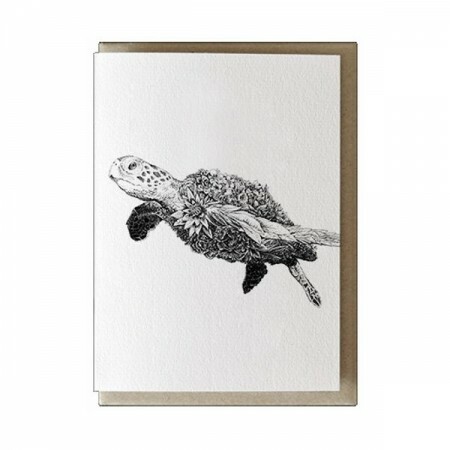 Luxury greeting card with beautiful original illustration printed on textured 100% recycled acid free paper. Present throughout tropical and subtropical seas around the world, the green turtle is threatened by hunting, fishing net entanglement and loss of nesting beach sites. Marine protected areas are being established, as well as work with fisheries to switch to more turtle-friendly fishing gear. Marini Ferlazzo is a family owned Australian studio based in Melbourne that works with not-for-profit wildlife conservation organisations across the globe. It was founded by Australian artist Nathan Ferlazzo whose beautiful pen and ink illustrations aim to capture your imagination and inspire active conservation of wildlife. Each card is blank inside and includes a recycled envelope. Printed on 100% recycled acid free 300gsm textured paper. Designed and printed in Melbourne, Australia by a family owned business. A portion of each sale is donated to wildlife conservation, supporting a more sustainable future for our planet. Fine 300gsm textured paper, 100% recycled & acid free. Original & intricate artist illustration.